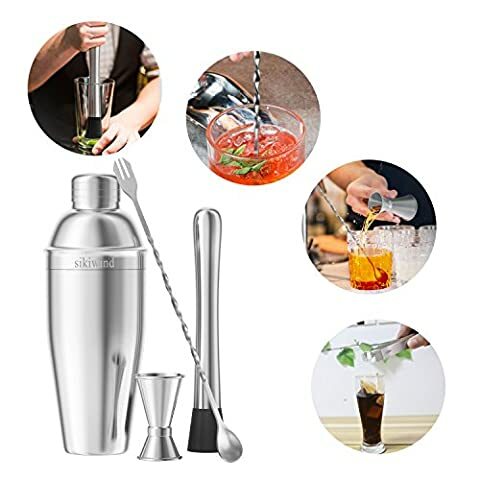 VALUABLE – 7 piece stainless steel cocktail shaker bar set includes all the bartender accessories: 25 oz (750 ml) martini shaker, measuring jigger, mixing spoon,drink muddle,strainers,ice tongs and drink recipes. 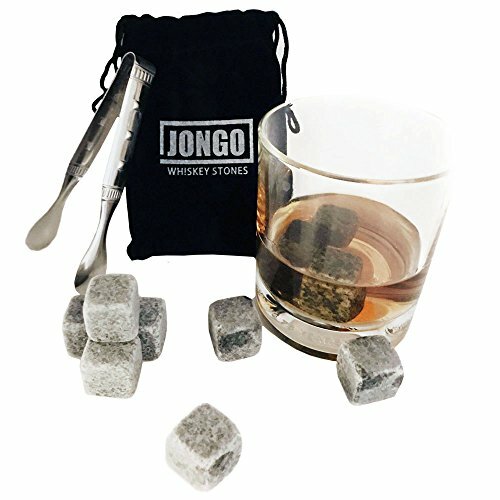 Allows you mixed drinks at home. 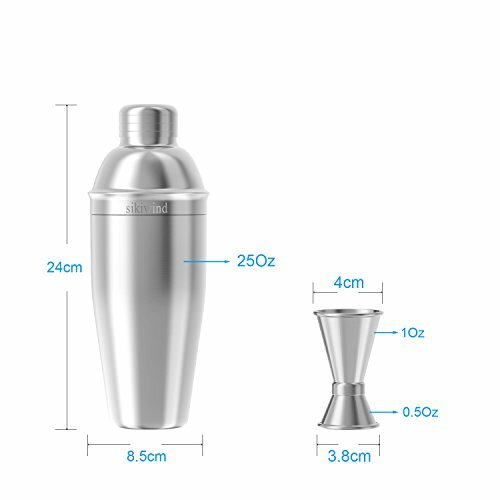 CONVENIENT – Simple and easy to use this shaker is recommended for a beginner or an experienced bartender. 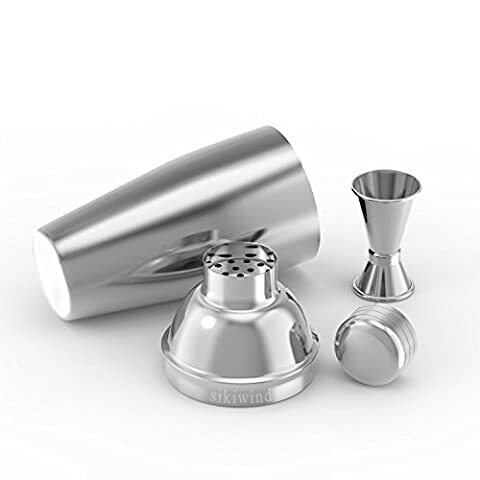 the cocktail set help you create drinks made from a wide variety of liquors like Whiskey, Scotch, Vodka, Tequila, Gin, Rum, Brandy and more. 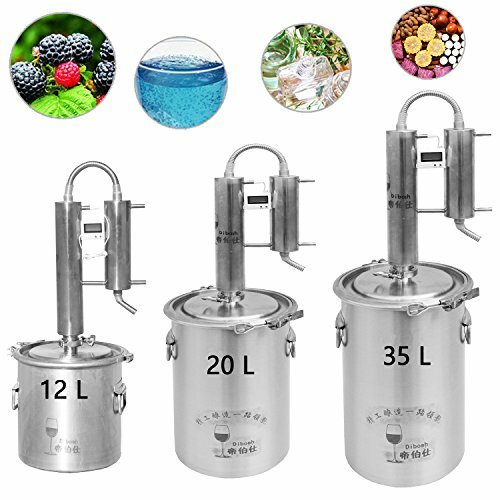 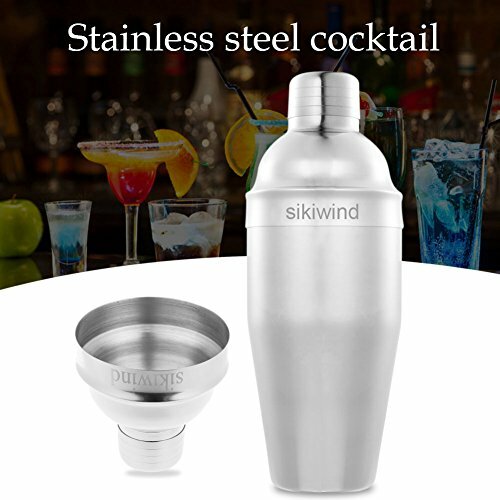 HIGH QUALITY – All the drink shaker set made from high quality 304 stainless steel that will not to rust or leak and remain on your bar for many years. All the products in the cocktail set easy to clean and dishwasher safe. 7pcs Sikiwind Cocktail Shaker Set for All Your Cocktail Mixing Needs. 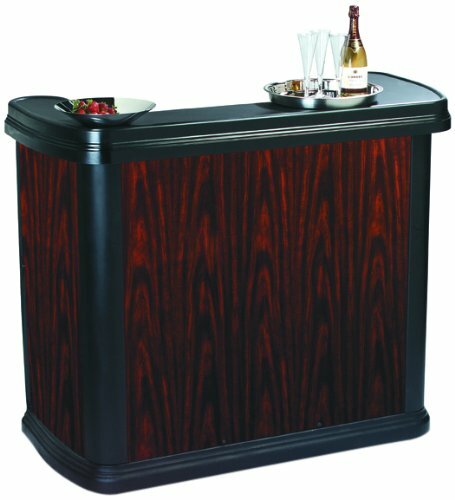 The bartender set that is durable, premium quality, not rust or leak. Easy to use and clean. 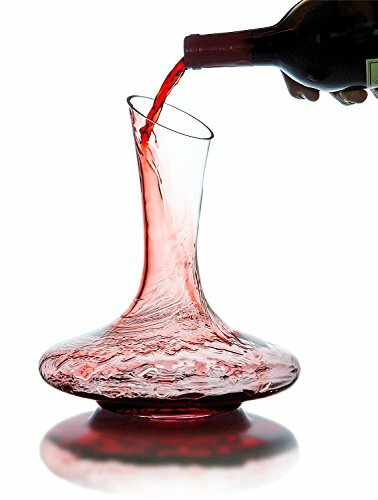 perfect for any drink of your choosing. – Can make any drink including mojito, martinis, and other mixed drinks. 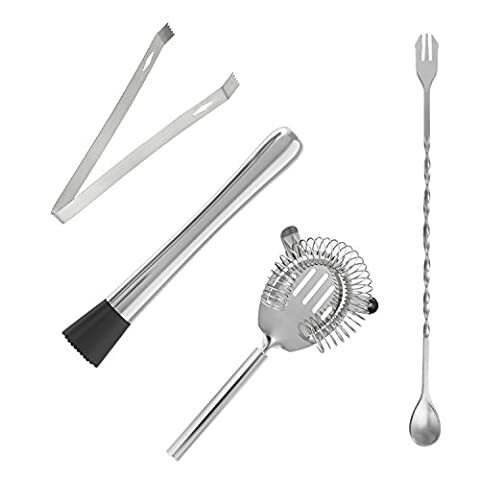 – Bar Tool Set are dishwasher safe. – Stainless steel martini shaker built-in Strainer, you can direct pouring the mixer, also you can use the cocktail strainer. 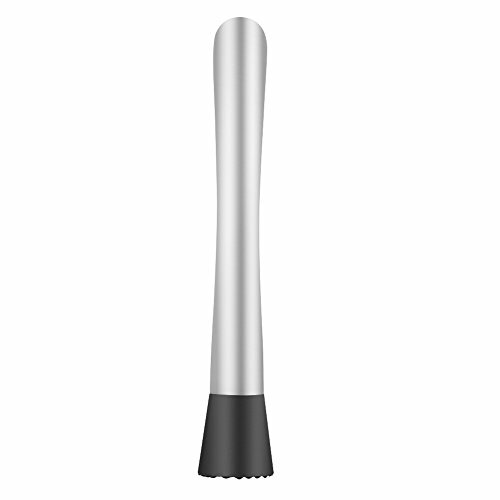 -It is well balanced and feels great in your hand, certain to be the most used piece of your bar equipment. 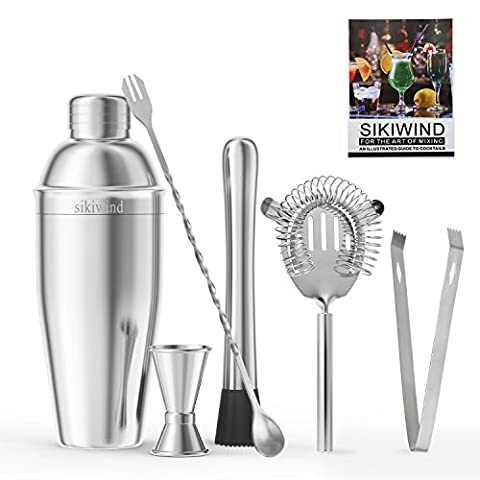 ENJOY LIFE – Complete cocktail shaker set essential bar and party supplies for making delicious Cocktails or Mocktails. 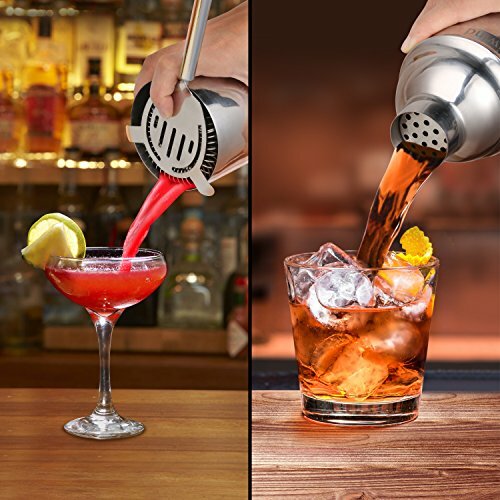 Enjoy Shaking and stirring liquor and mixers and satisfy different tastes keep everyone happy. LIFETIME GUARANTE – 100% MONEY BACK, If you are not satisfied with the cocktail shaker bar set , you can return it to us – you will get back full of your money! 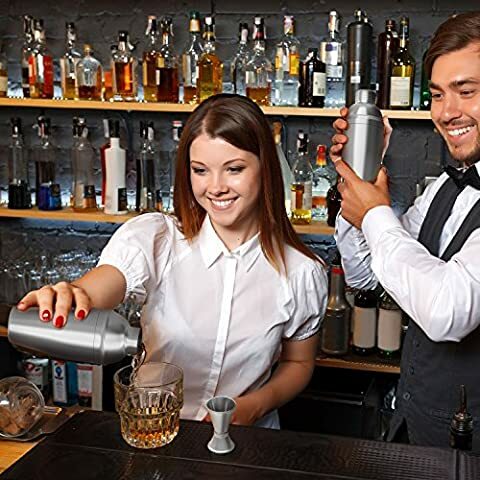 Also, you can contact the customer service ask for help.